Environment • Groups are protesting groundwater permit issued to Red Leaf Resources. | Courtesy Red Leaf Resources Red Leaf Resources CEO Adolph Lechtenberger, left, and petroleum engineer Les Thompson inspect an oil shale outcropping on a state lease in Utah's Uinta Basin. Red Leaf has secured approvals necessary to move forward on its proposed shale mine, but environmentalist intend to challenge its groundwater permit. | Courtesy Red Leaf Resources Red Leaf uses simple mining techniques to build capsules in which oil shale is heated but not burned. 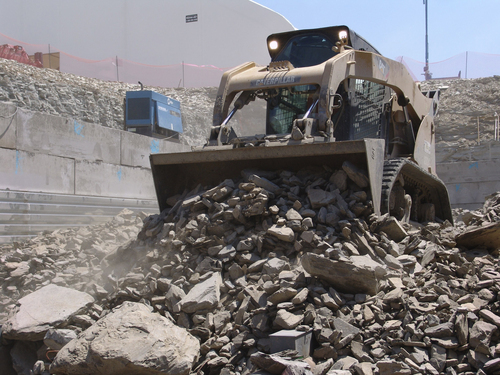 Environmental groups are challenging a key state permit that could enable a proposed Uintah County mine to become the nation&apos;s first commercial oil shale operation. The state Division of Water Quality last year issued a groundwater permit to Red Leaf Resources, which seeks to strip mine oil shale on state land and cook it in sub-grade capsules to extract its hydrocarbons in liquid form. The permit, Red Leaf&apos;s final regulatory hurdle, allows a prototype operation, scaled back from the company&apos;s initial plan. But the Sierra Club and other groups contend the state neither adequately assessed the plan&apos;s threat to groundwater nor required adequate monitoring to determine whether the capsule will work as designed. The state permit lacks provisions to see if the clay-lined capsule fractures during heating and actually prevents contaminants from leaching into groundwater, seeps and springs, according to documents the groups filed with the Department of Environmental Quality on Tuesday. The groups&apos; "request for agency action" may hinge on narrow points of administrative law, but their larger goal is to keep Utah&apos;s oil shale industry from getting off the ground. "Regardless of whether this technology proves viable, oil shale is the wrong energy path in an era of drought, waning river flows and worsening climate change," said Taylor McKinnon, an energy-policy activist with the Grand Canyon Trust, in a press statement. Red Leaf officials have long held that their patented EcoShale retort process is the most environmentally friendly method of extracting oil from shale and that any threat it poses to groundwater can be mitigated. 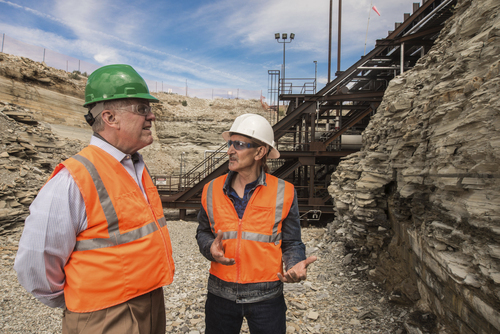 State and Uintah County leaders are eager to see Red Leaf and other developers tap the Green River Formation&apos;s vast oil shale reserves, believed to exceed 350 billion barrels of recoverable oil. But decades of trying has yet to yield much fruit and environmentalists worry that success would yoke Utah to a "dirty energy" future. "The scheme used by Red Leaf Resources is basically the same as it was for failed ventures a century ago: mine it, crush it, sort it, put it in an oven, heat it, gather the liquid into a sump, hope that it doesn&apos;t burn the facility down, and get it to a refinery before it congeals," said John Weisheit, conservation director with Moab-base Living Rivers. "It makes far more sense for an energy company to come over to my house and install solar panels on my roof."